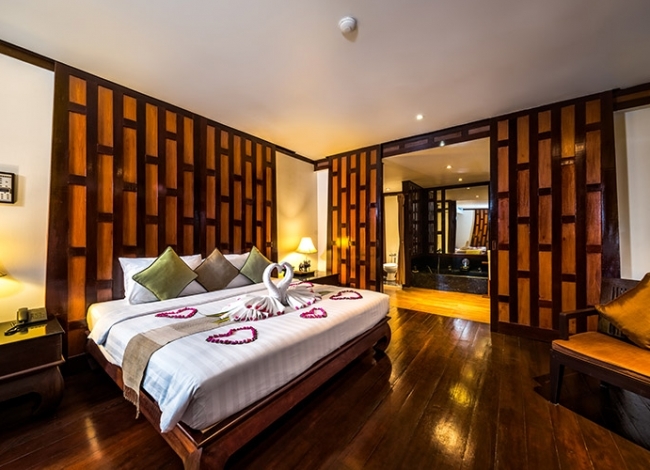 This stylish Baan Yin Dee Boutique Resort is known for its rich wood decor and helpful staff. Free shuttle service is provided if you plan to explore some of the shopping stores & restaurants located close by. This is a gorgeous place to stay as the boutique experience truly lives up to its expectation. 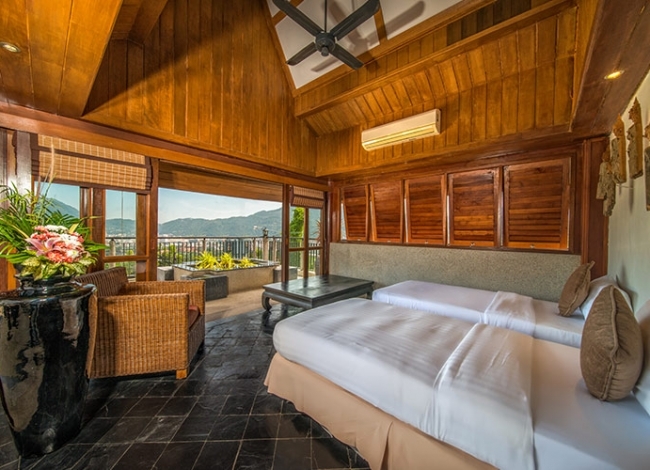 Baan Yin Dee Boutique Resort is a mesmerizing, modern 4-star resort perched atop the south-western hills of Phuket, with a breath-taking view of the Patong beach. 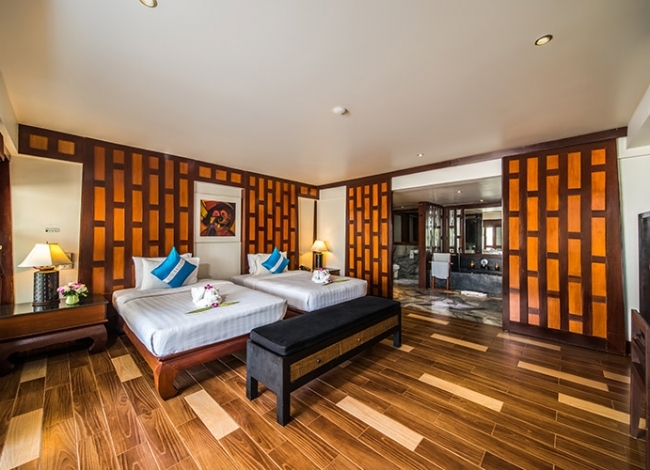 Barely an 8-minute walk to the sandy beach of the Patong, the beach resort is the perfect destination for a romantic getaway for honeymooning couples and vacationing families alike. 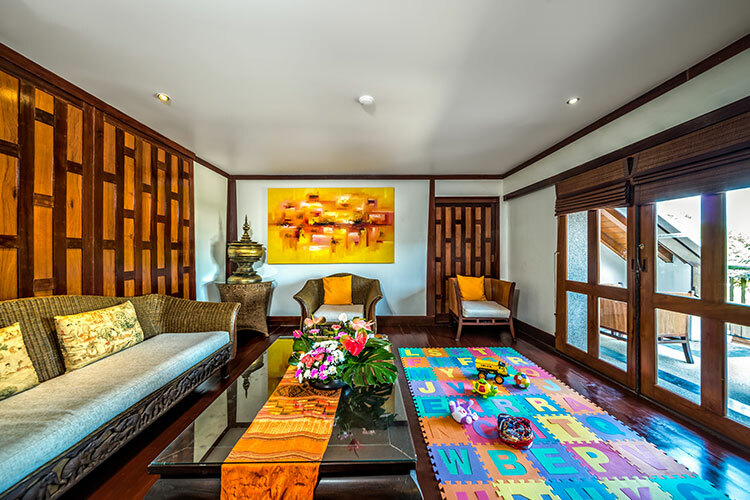 From the tranquil recesses of the Baan Yin Dee Boutique Resort, the guests could start their journey into the heart of Thai culture. 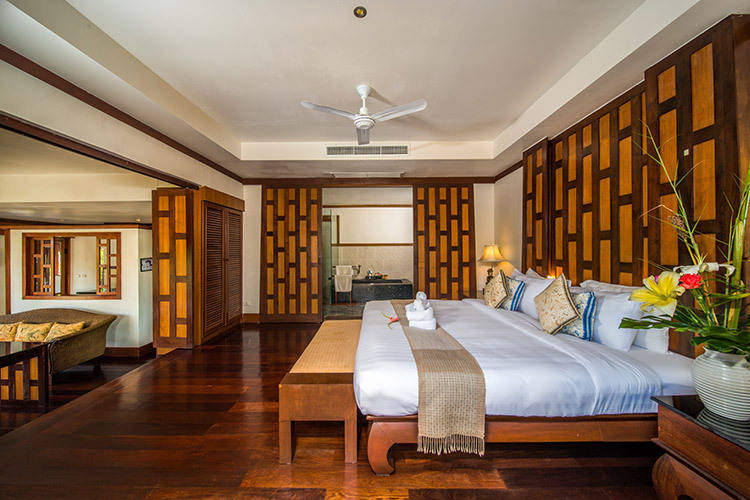 The homely ambiance of the resort makes one feel relaxed and comfortable when coupled with the opulent and wonderful amenities it offers, such as the infinity pools, adult Jacuzzi, traditional Thai massage and the delectable, authentic Thai cuisine. Designed with deep inspiration from the classical Boran Thai architecture infusion with the modern designs, the resort steals one's breath and heart with its stunning facilities and beautiful views surrounding it. 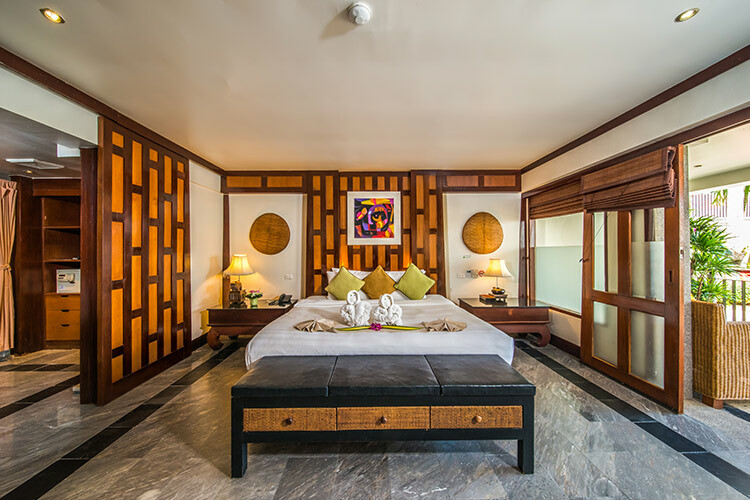 Baan Yin Dee Boutique Resort Phuket comprises of 21 carefully crafted rooms, fusing the elegant designs of Boran Thai architectural spirit, aesthetic decor and modern amenities, each one guaranteed to offer the lively ambiance of Patong beach to the fullest. 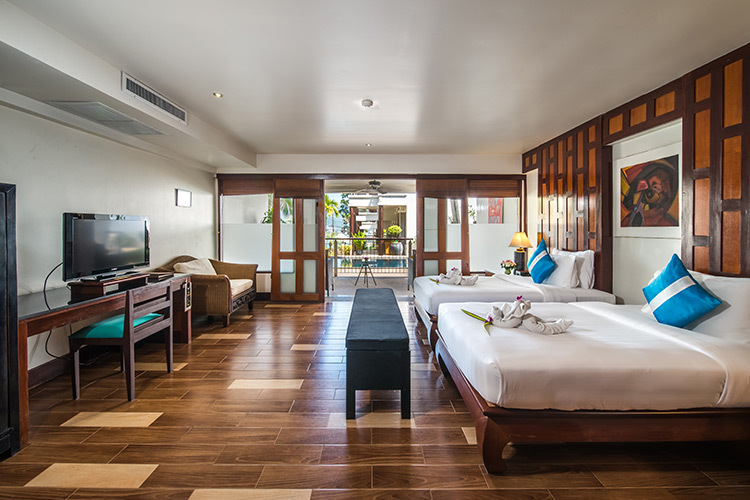 Each room has a private balcony gifting a birds eye view of the beach. The Deluxe Pool View rooms are aesthetically designed with a wooden finish overlooking the majestic sight of the four-tier infinity pool. 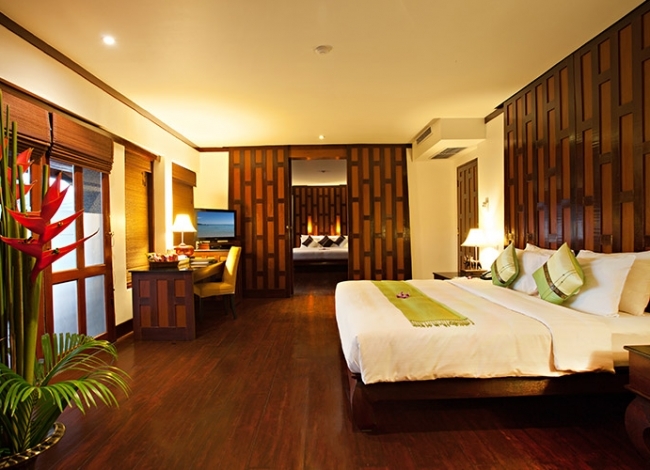 The Deluxe Sea View rooms offer a glimpse of the beach in addition to all that. The Deluxe Pool Access rooms pave direct entry to the pool from the balcony to have some additional fun under the sun. 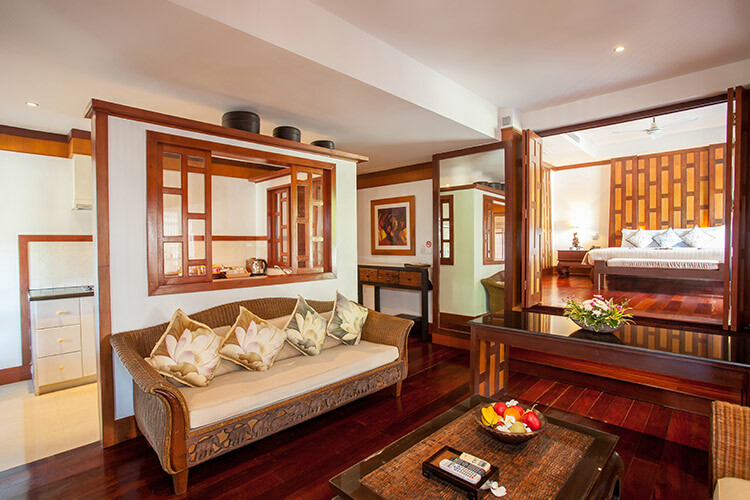 The Deluxe Pool Suites are carefully located and curated to cater to the privacy of couples on a romantic getaway. Finally, there is the elegant and majestic Presidential Suite which comes with 2 bedrooms, living room, kitchen pantry and attached bathroom for a premier experience of luxury and opulence. At Baan Yin Dee Boutique Resort, the guests get to enjoy a host of water-related recreational activities. The carefully crafted outdoor pool is one of the main attractions. Then comes the 12-person Jacuzzi for adults. The pool also has a bar adjacent to it for a complete grown-up getaway experience. The fun is not limited to adults, as the resort also has a pool for children. 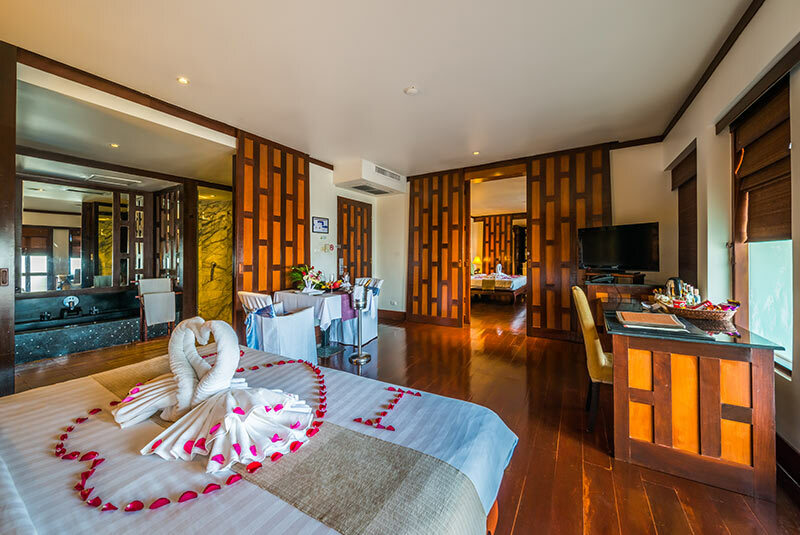 One could also get a relaxing and refreshing traditional Thai massage at the Baan Yin Dee Boutique Resort Phuket. The resort provides shuttle services to Patong town all through the day, making it easy for guests to venture and explore. It also has concierge and 24/7 Help Desk services to assist one all through their stay there. 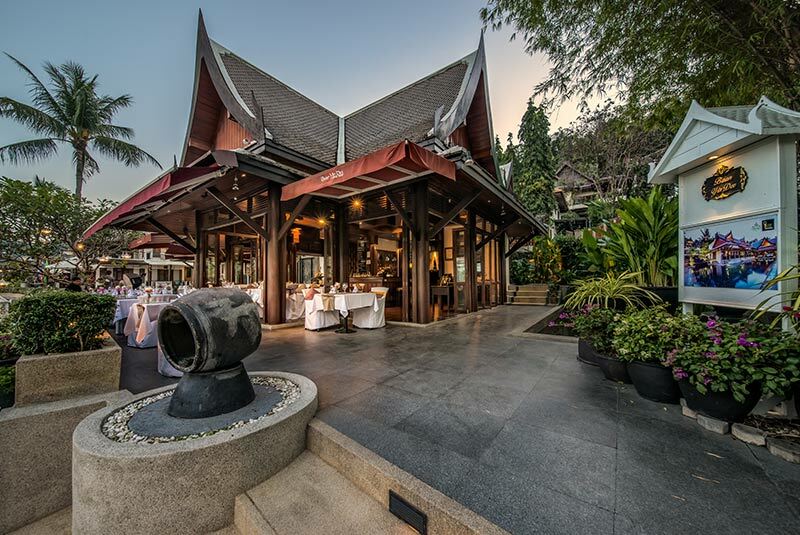 To please the particularly picky palates of its guests, Baan Yin Dee Boutique Resort Phuket has the award-winning RICE restaurant offering fantastic Thai cuisine. 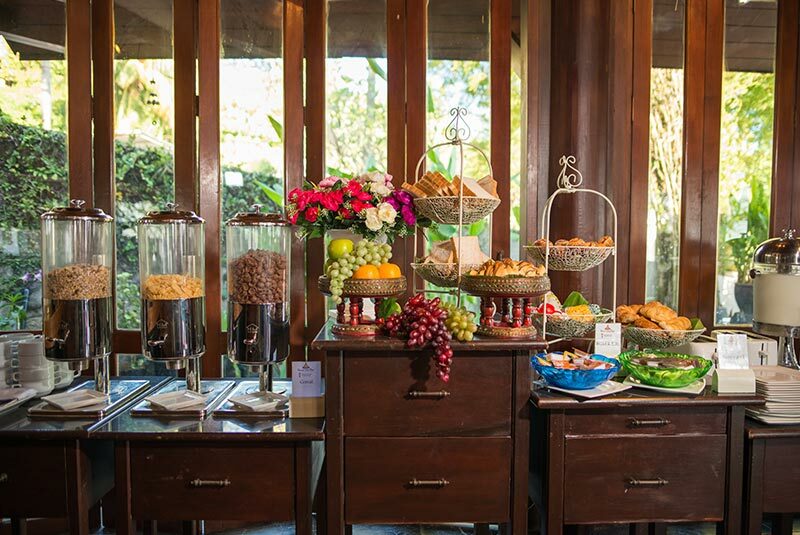 The restaurant is famous for its eclectic menu which sees the marriage of ethnic and western flavors, tastes and dishes. Be it a lazy day of just basking under the sun by the pool, or a long and winding day of sightseeing, one could head back to the comfy room of the resort and experience the serenity of the Patong beach right from the private balcony of Baan Yin Dee Boutique Resort and forget ones existence and be one with the wind and nature. 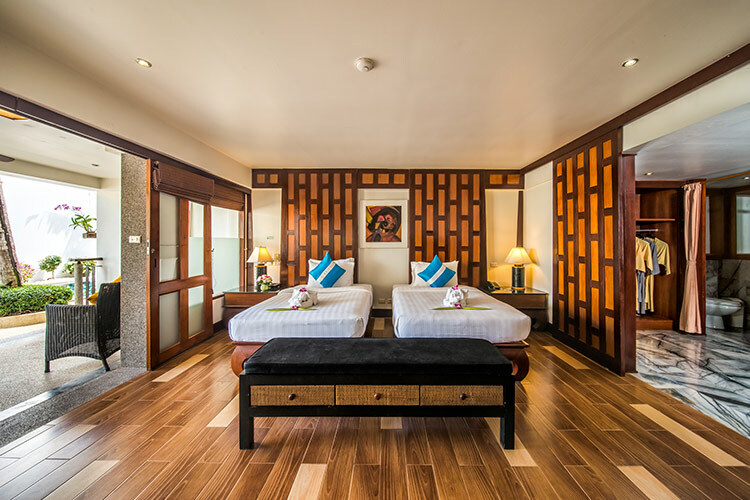 The resort has the best tour programs which include a city tour, rafting, elephant trekking, excursion to the Phi Phi island and James Bond Island. 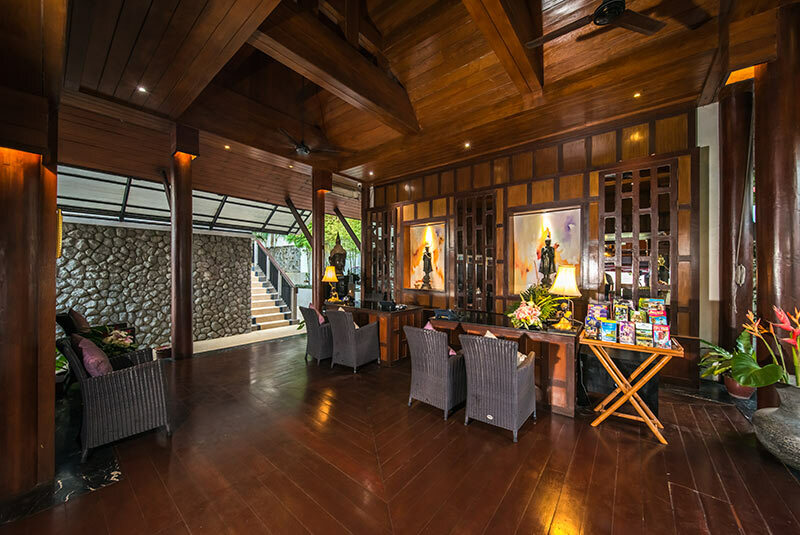 For a sensual experience, one gets to go the Phuket Simon Cabaret and attend rejuvenating massage programs, all easily accessible from the resort. 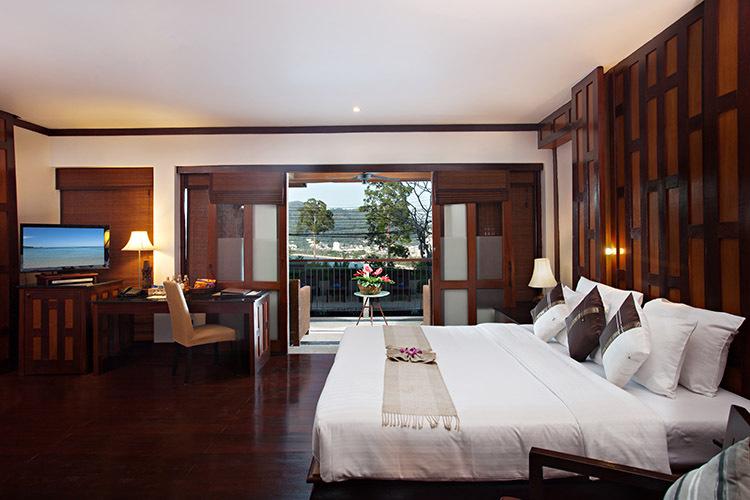 Baan Yin Dee Boutique Resort Phuket is only 30 minutes drive from Phuket International airport. Yes, the Baan Yin Dee Boutique Resort provides airport transportation to all guests. Does the hotel have a facility to arrange tours for its guests? 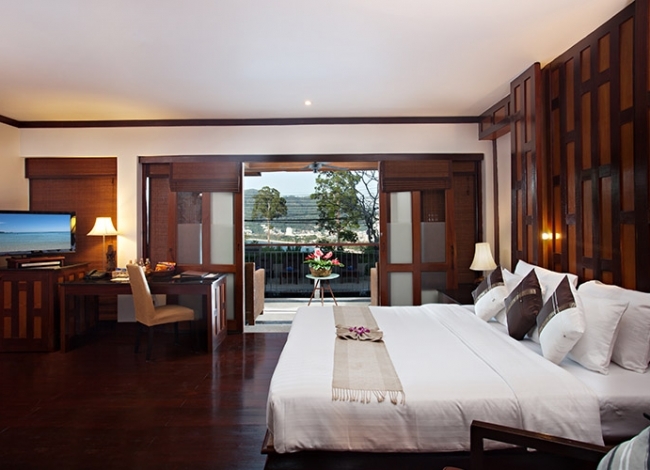 Yes, Baan Yin Dee Boutique Resort has a special tour desk where guests can choose to take different tours of the city. 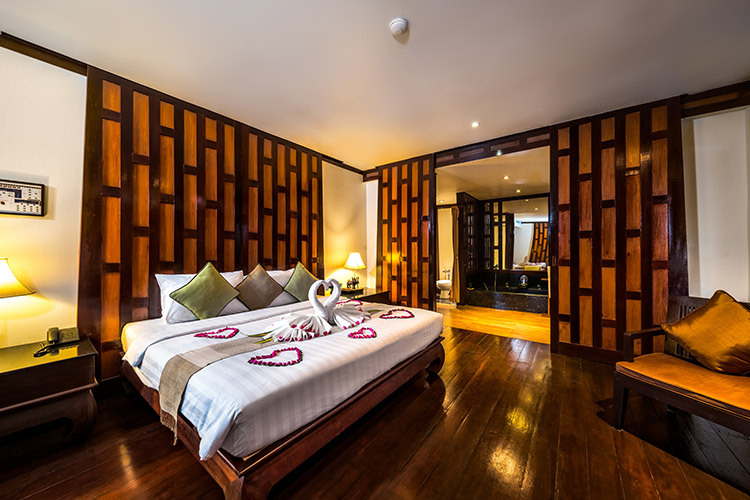 Baan Yin Dee Boutique Resort offers several options for recreation which include spa, swimming pool, massage, and minibar. 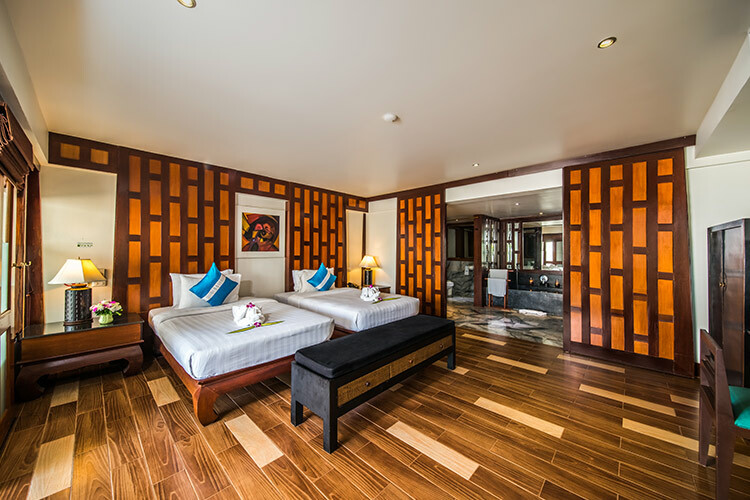 The hotel also arranges tours for guests to major attraction such as the Phi Phi Island, James Bond Island and elephant trekking and city tours for the guests to enjoy a wholesome experience of Thailand. Does the hotel have a free Wifi facility? Yes, the hotel has a free wifi for all its guests. 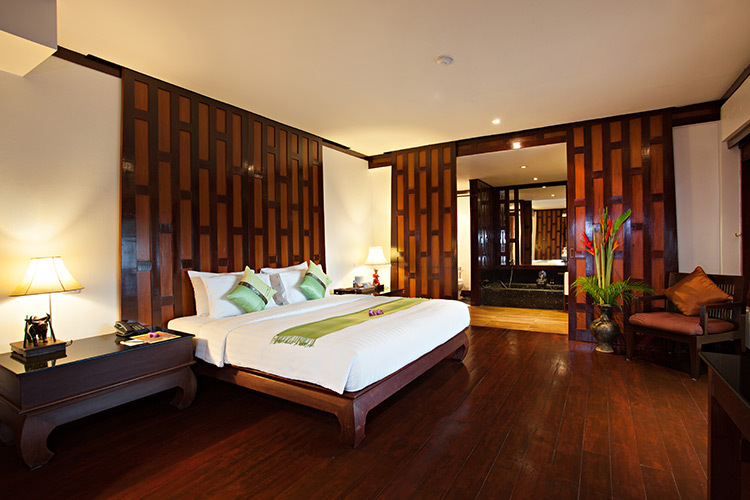 Baan Yin Dee Boutique Resort is a beach resort where one is assured to have a truly wonderful time. 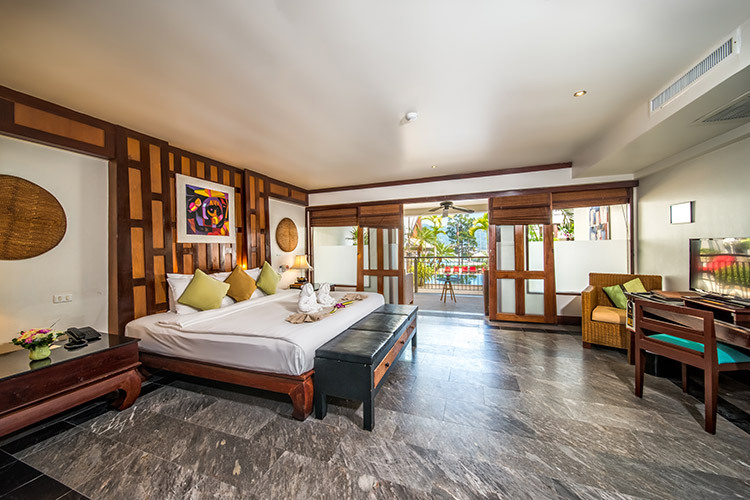 It lives up to its intention as a beach resort, not only because of its close proximity to the Patong beach but also because of the enthralling view it offers of the sea from the recesses of its private balconies. It is the ultimate holiday destination if one seeks to enjoy the waves, water, and sun to the fullest. 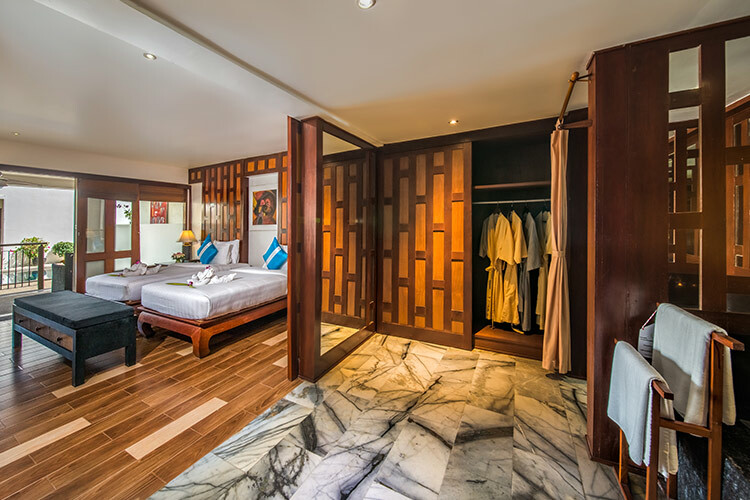 The ornate rooms show the fluid alliance of Thai tradition and fast developing technology, where guests get to enjoy the best of both worlds. The balcony, the aesthetically curated decor, the up-to-date amenities ensure one would want to never leave the fancy premises of the room. For the true bearers of wanderlust, Patong town is just 10 minutes away. If ones dream is to begin the dawn with the beautiful sun shining on your face and to end it with the evening breeze of the sea caressing ones face, intoxicating all their senses, then the cozy balcony of Baan Yin Dee Boutique Resort Phuket is where they ought to be unwinding!